Not too long ago, I had dinner at a gorgeous restaurant located inside a spa here in Scottsdale, AZ called elements at Sanctuary Camelback Mountain Resort & Spa. Check it out…the views are absolutely AMAZING! If you’re a foodie like me, you’ll know the name of the executive chef, Beau McMillan who is a renowned Food Network celebrity chef and Iron Chef America winner. 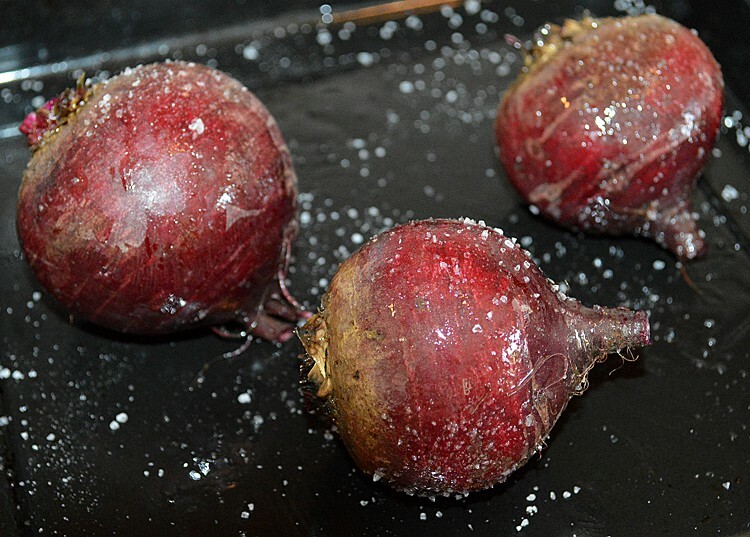 This recipe was inspired by a starter on that menu called ‘salt roasted beets’. Theirs is served all mixed together, but I wanted to make it into a salad and add my own touch. Also, theirs uses Boursin cheese and I wanted a vegan version and made mine with an herbed, whipped ricotta. I also added plums and improvised the grainy mustard vinaigrette. It’s really hot here in AZ right now, so I did the roasting in my favorite toaster oven, the Breville Mini Smart Oven. Beats further heating up the house and it’s also really nice when you have just a small amount to cook. I use it for everything! While those were cooling, I whipped up a grainy mustard vinaigrette my way. Apple cider vinegar, applesauce, grainy mustard, salt, pepper and olive oil. Just whiz it all together in a food processor and drizzle in the oil until emulsified. I rinsed out the food processor and added my vegan ricotta (Tofutti brand is the one I use, but there are others on the market), So Delicious Coconut Dairy Free Creamer and vegan Parmesan (Parma, Go Veggie and Rawmesan are brands available). I use Go Veggie vegan parmesan. Season with salt and pepper, to taste. My pears were not quite ripe, so I pan sauteed them with a bit of vegan butter and a sprinkle of sugar. If yours are really ripe, you can skip this step. I added one plum for color at the last minute. Don’t forget to season with salt and pepper. This is an important step. Just look at all that flavor! You have sweet, sour, sugar, salt, vinegar. 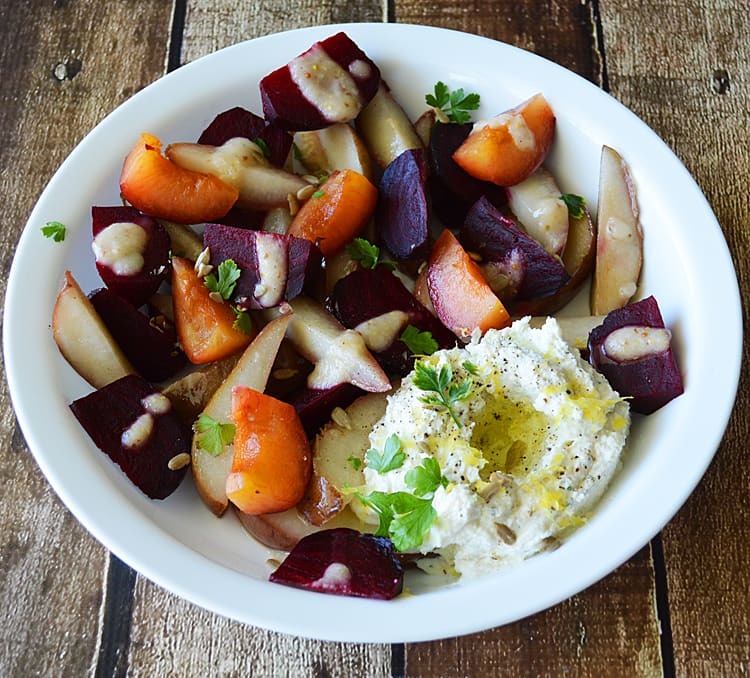 I served it while the beets and pears were still slightly warm, but you could also serve at room temperature. Soooo good! Drizzle with that mustard vinaigrette just before serving. Garnish with a bit of fresh parsley and salted pumpkin seeds. Prepare the beets by trimming and washing them very well. Lightly coat with oil and salt liberally. You will be peeling them after they cool slightly, so don't worry about the salt. 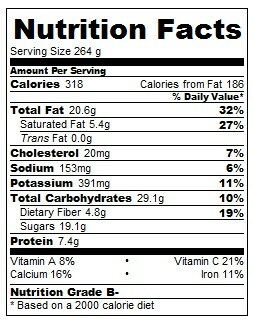 It just gives flavor. Roast until fork tender. This could take anywhere from 45 minutes to an hour. Allow to cool enough to handle before peeling. Slice into wedges. 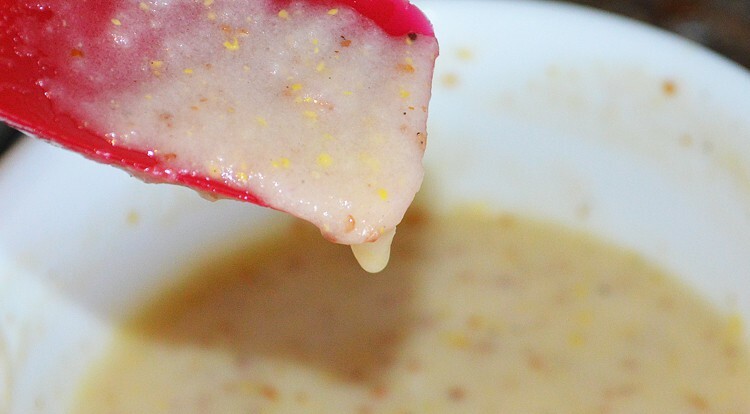 While they are baking, prepare the vinaigrette by combining all ingredients in a food processor and drizzling in the olive oil until emulsified. Remove to a bowl. 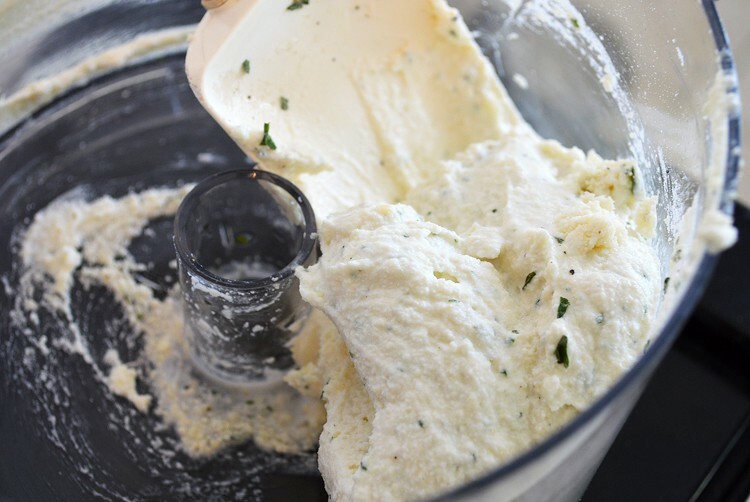 Wash out the food processor and prepare the ricotta mixture. Combine all ingredients and process until smooth. If it's too thick, you can add another splash of creamer. Too thin? Add more vegan parmesan. You can use fresh pears without sauteeing unless they aren't ripe yet. I just sauteed mine in a bit of butter and a sprinkle of sugar. They loose a bit of color when cooked, but I really loved the taste when sauteed. 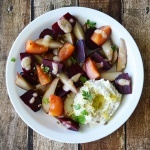 Slice up the plum into wedges. 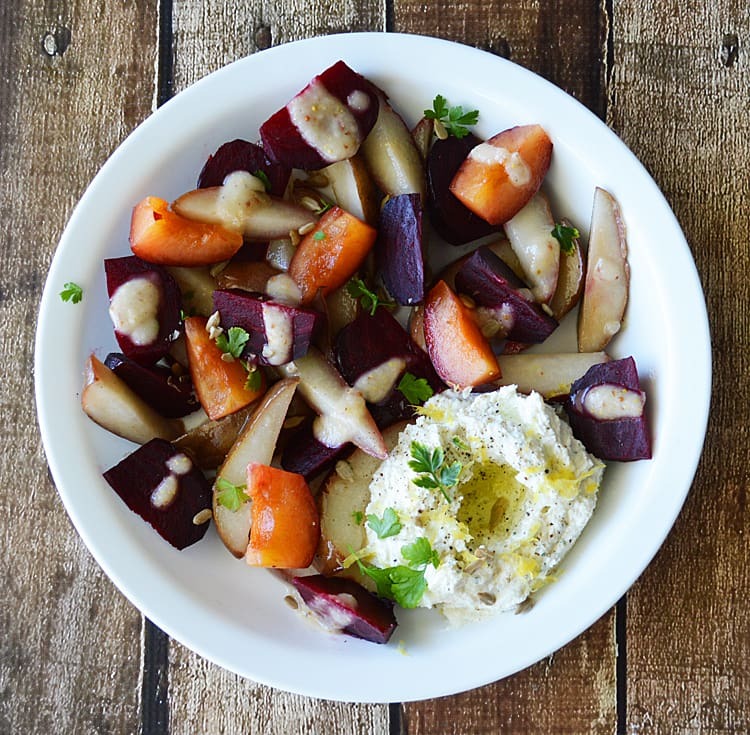 Arrange the fruit and add your beets. Add a large scoop of the whipped ricotta to your plate and make a small well in the center. Add a drizzle of oil, cracked black pepper and some lemon zest, if desired.